Soybeans being harvested in Clinton County last October. An OSU trade expert believes that President Trump’s executive order Monday withdrawing from the Trans-Pacific Partnership will hurt agriculture exports in the future. However, Sheldon said that in terms of the economy at large, most experts believe the TPP would be beneficial for the U.S. GDP. “By 2030 the forecast for the U.S. was about $131 billion dollar increase in gross domestic production, which is about half a percent increase in GDP, So I think we are giving up quite a large amount of economic growth,” he said. “In terms of agriculture, the USDA numbers are that TPP would have increased agricultural trade by about six and half percent among TPP countries, so with increased market access, the USDA predicted a 33 percent increase in U.S. agriculture exports by 2025,” Sheldon added. After seven years of negotiations, agreement on TPP was reached last October by the partnership’s 12 signatory countries: Australia, Brunei, Canada, Chile, Japan, Malaysia, Mexico, New Zealand, Peru, Singapore, Vietnam and the United States. But the deal needed Congressional approval. The TPP signatory countries account for approximately 40 percent of the world’s economy. The U.S. presently exports to China more than a billion bushels of soybeans annually, much of it from Ohio. Sheldon said that if there is a trade war in the future, “China can easily get their soybeans from Brazil or Argentina.” The TPP reversal could be the first step toward such a trade war. “Now the U.S. has given up its ability to drive the agenda. I think China will now push for its own large free trade agreement and set the ground rules. There is already talk of China and Japan forming their own free trade agreement. I think that really hurts the U.S. eventually,” he said. 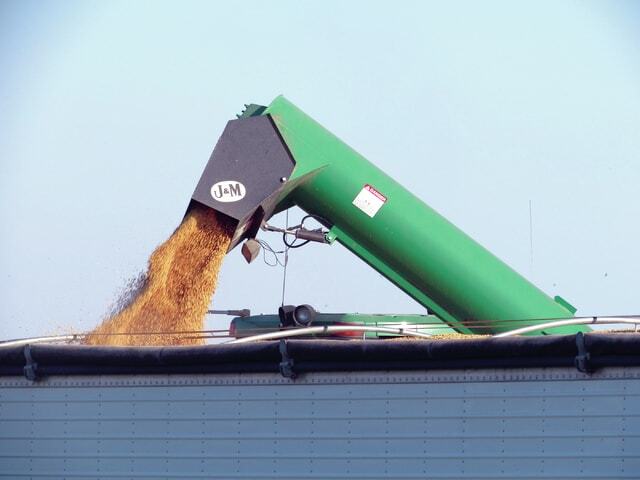 https://www.recordherald.com/wp-content/uploads/sites/27/2017/01/web1_soybeans-Clinton-County.jpgSoybeans being harvested in Clinton County last October. An OSU trade expert believes that President Trump’s executive order Monday withdrawing from the Trans-Pacific Partnership will hurt agriculture exports in the future.